Pure Leisure Groups digital expertise has been internationally recognised this month following an Interactive Media Award win with digital agency Fat Media, who picked up a ‘Best in Class’ award in their category, travel and tourism. The Interactive Media Awards, held since 2006, recognise the highest standards of excellence in website development and design and seek to “elevate the standards of excellence” on the Internet. A panel of industry judges fully assessed The Pure Leisure Group website across five key criteria; design, content, feature functionality, usability and standards compliance, awarding a score of 484 out of 500 and grading the site as ‘Best in Class’. Pure Leisure offer holiday parks and leisure venues, including 5 holiday parks in the Lake District, 4 in Northamptonshire and 2 golf and leisure estates in Cambridgeshire and West Yorkshire. The group also owns Royal Westmoreland, a luxurious and exclusive 750 acre estate in Barbados. Fat Media’s brief was to bring together the selection of UK holiday parks to form a newly developed central website encompassing the wide range of services offered within the Pure Leisure portfolio. A clear menu structure ensures visitors can find key sections by holiday type, park and more whilst a sliding call to action tool provides a great platform for special offers. The site is also fully mobile responsive and includes an integrated action focused booking system. Following the launch of the site, Pure Leisure web traffic increased by 116% per month compared to the previous year with 76% of bookings taken online being from new customers. Pure Leisure’s Head of Marketing, Caroline Farrer, is delighted with the success of the new website, she commented: ‘‘Due to the new responsive design, we have seen much improved engagement rates when viewing on tablet or mobile devices and this way imperative as 44% of Pure Leisure’s customers are now browsing this way. We worked very closely with Fat Media to make sure all key elements of the site were quickly accessible and found the perfect balance between design elements and user experience. 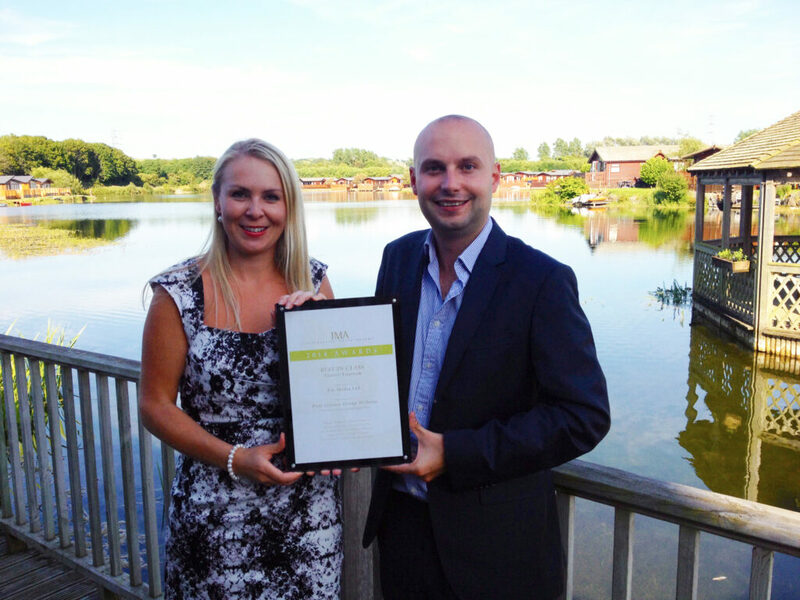 Photo: Caroline Farrer, Head of Marketing at Pure Leisure with John French, Client Services Director at Fat Media.